President Xi Jinping , Jack Ma , Theresa May and Shakira may have grabbed all the headlines during Davos 2017, but this year’s Annual Meeting was jam-packed with significant sub-plots that may have flown under your radar. Here are a few key moments that you might have missed. IKEA’s CEO Peter Agnefjall wants his company to double in size, he told Davos participants , but only if they have a positive effect on the planet while they do it. IKEA will soon release a kitchen partly made from recycled plastic, he announced. “In 10 days from now we will introduce our first kitchen front which is made out of recycled wood fibre, and it’s covered in plastic, coming from recycled PET bottles. So step-by-step we’re taking steps into becoming a more circular IKEA,” he said. 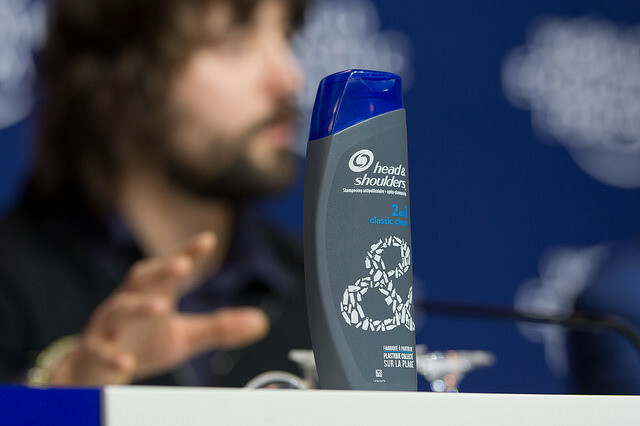 Also doing their bit to clean up our oceans, Procter & Gamble, who announced that they will produce the world’s first recyclable shampoo bottle made from up to 25% recycled beach plastic. In partnership with recycling experts TerraCycle and SUEZ, this innovation will come to France in summer. Joe Biden gave his last major speech as vice-president this week, using the Davos platform to make an impassioned plea for leaders to “defend the liberal international order” and share his thoughts on the backlash against globalization, the recent US election and the future of NATO. But Biden also called for a fairer tax system where everyone pays their fair share, and said that the US could afford to send everyone to college for free. One way of doing this would be to channel inheritance tax into providing free education, Biden said. Watch the vice-president's speech in full here . “The world is tragically unprepared” for the next major outbreak of disease, said Microsoft founder Bill Gates in this session . Gates was in Davos to launch The Coalition for Epidemic Preparedness Innovations (CEPI), a joint-initiative by the Bill & Melinda Gates Foundation , the governments of India and Norway, the medical research charity Wellcome and the World Economic Forum. CEPI aims to shorten the response time to epidemics by creating vaccines that could be released quickly once an outbreak occurs. By financing and doing the research before a crisis erupts, CEPI will dramatically speed up the ability to counter the spread of an infectious disease such as Ebola. With CEPI, “we will change the paradigm for how we get vaccines for these epidemics,” Gates said. Davos participants also got the chance to listen to Afghanistan's first female orchestra, Zohra, make their first international performance. The group of 30 young women, all wearing a matching bright red hijab and playing traditional Afghan instruments, have overcome death threats and intimidation from Islamist groups to follow their passion for music. Music was banned under Taliban rule, and the group of women are the first to play music in their country in 30 years. Members of the group say they have had to hide their music from members of their community – and even their own family – for fear of retribution. You can watch their performance at the Davos closing ceremony here . Raed Al Saleh, head of the Syrian Civil Defense, the group of civilian rescue workers that saved thousands of people from the rubble caused by airstrikes across rebel-held Syria, traveled to Davos this week to talk about the role of the group and the ongoing situation in the country. Volunteers have the power to respond when governments can't, Saleh added. But there are limits to what they can achieve. “In light of the late, weak and inefficient response from the governments and big organizations to end the suffering in Syria, the volunteers in conflict zones play a very important role in emergency response and in responding quickly to help people. They can ease the suffering of the people but we as ordinary citizens and volunteers, we are not able to end the suffering,” he said. 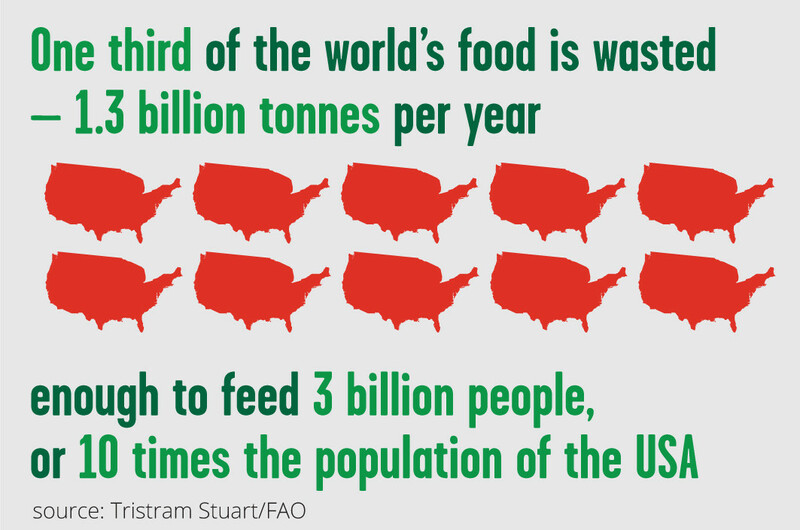 One third of the world's food is wasted – 1.3 billion tonnes a year. This is a huge global problem, with implications for people and the planet. One non-profit organization came to Davos to show participants that there is a better way to manage our resources. Brazilian-based Gastromotiva takes food that is destined for the rubbish dump and turns it into meals for people in need. Bananas are, apparently, a particular problem. “It ranks as the world's number one most wasted food,” said CEO Nicola Gryczka . During the Annual Meeting they have been dishing up meals made from repurposed food on the main promenade outside the Congress Centre.